But this honor belongs not to one man alone. Today, I stand the watch. Yesterday in our history, it was stood by the many who have gone before me. for paying tribute to its honored dead. So today, I am the bugler of Arlington. Watching o’er our nation’s dead. Beneath me lie the dead. Leaves little to be said. And find so much for which to be thankful. 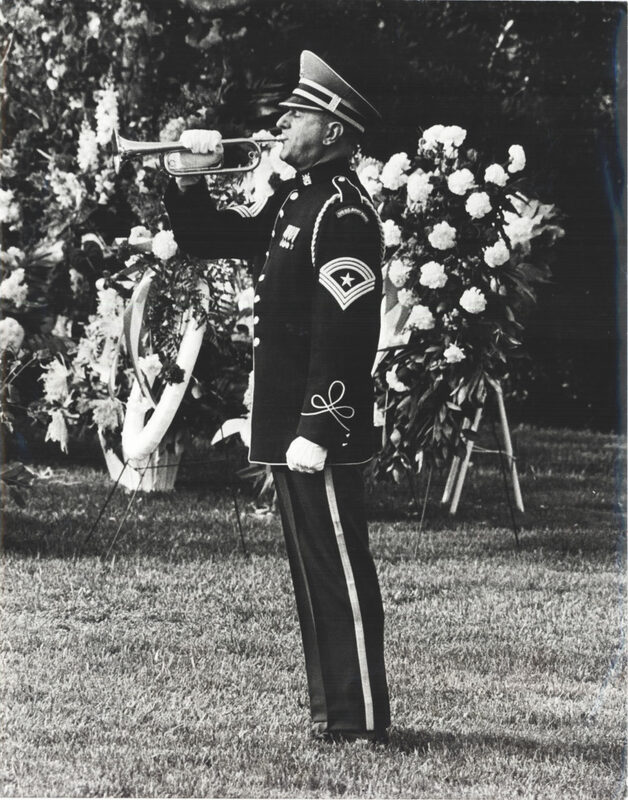 This entry was posted on Monday, September 6th, 2010 at 3:09 pm	and is filed under Bugle Stories, Buglers Through History, History of Taps. You can follow any responses to this entry through the RSS 2.0 feed. Responses are currently closed, but you can trackback from your own site.